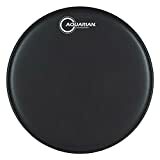 The Aquarian Hi-Velocity Coated has a punchy attack, with a boosted mid and low-end sound. 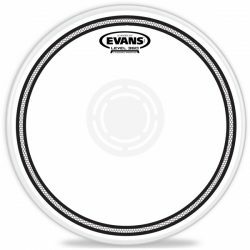 This is a very durable snare drum head that is great for high volume drumming. 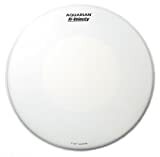 The Aquarian Hi-Velocity Coated is made with two plies of 7mil film, a coated top layer, and a large center control dot. 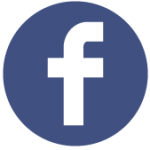 The control dot adds focus to the sound, reducing overtones and sustain, especially when hit in the center. 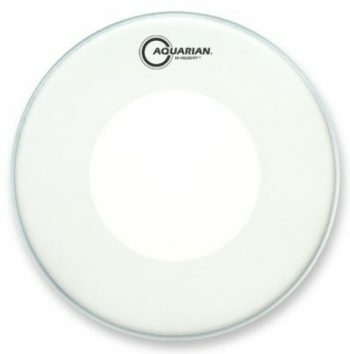 To add a little extra colour to your sound, this head can be hit around the edges for more ringing when needed. Sound-wise, the Aquarian Hi-Velocity brings a a deep, warm tone, especially when tuned to a medium or low tension. 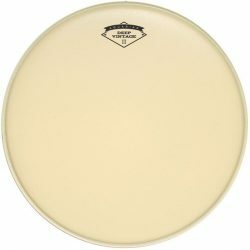 When tuned high, the sound is very cutting and has a little more character. 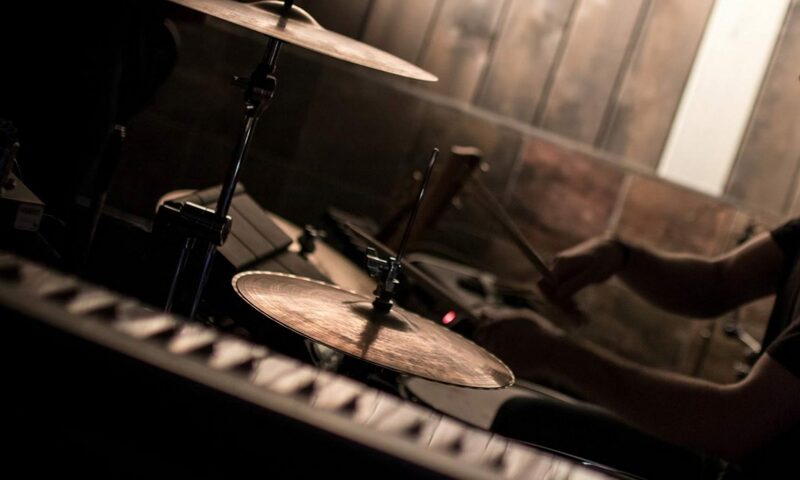 Sustain and overtones are reduced, allowing for a fairly focused sound that still has some liveliness. 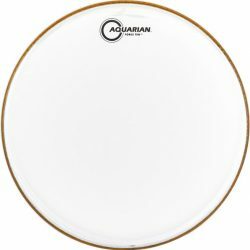 The Aquarian Hi-Velocity is a very durable snare drum head, thanks to the combination of two 7mil plies and center control dot. 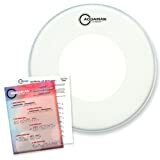 As the name suggests, the Hi-Velocity is great for hard playing and high volume drumming. This snare drum head projects very well, and has a strong attack. 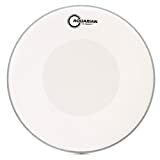 The thick center area of the drumhead can handle a lot of hard hitting, and will give big cutting rimshots that will be heard through a loud environment. 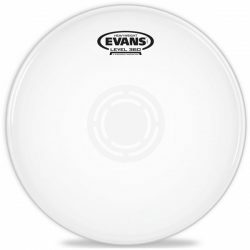 The coated surface of the Hi-Velocity responds well to brushes, and the underside control dot won’t get in the way of brush strokes. 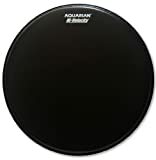 It should be noted, however, that this drumhead may not be sensitive enough for very quiet playing, due to the thick design. 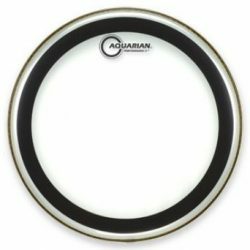 The Aquarian Hi-Velocity is available for snare drums, in white and black coated versions. 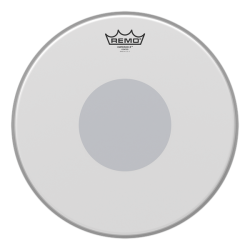 The Hi-Velocity is great for medium and high volume playing… These heads can handle hard hitting and will project well in louder environments.